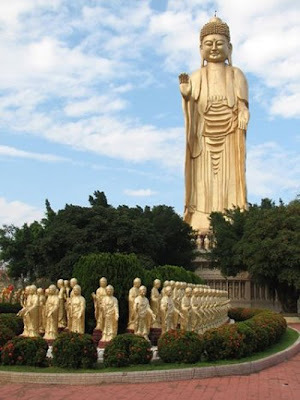 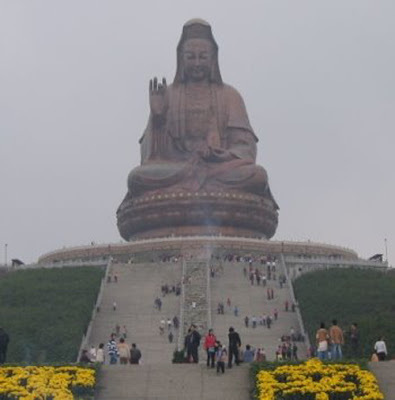 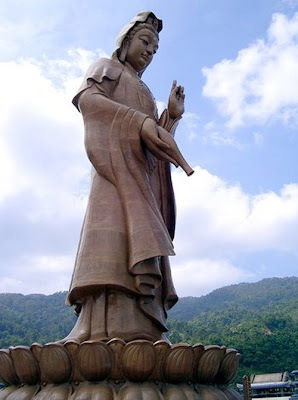 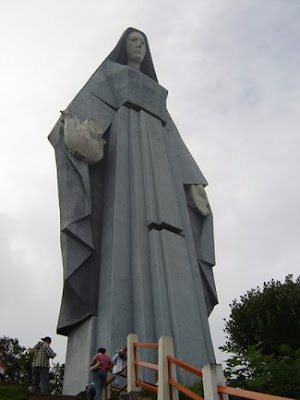 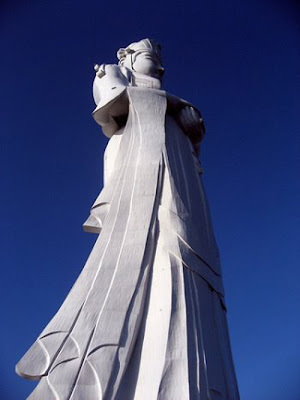 The Guanyin Statue of Hainan, also known as Guan Yin of the South Sea of Sanya, is a 108 metre tall statue of the bodhisattva Guan Yin, sited on the south coast of China's island province Hainan in the Nanshan Culture Tourism Zone near the Nanshan Temple west of Sanya. 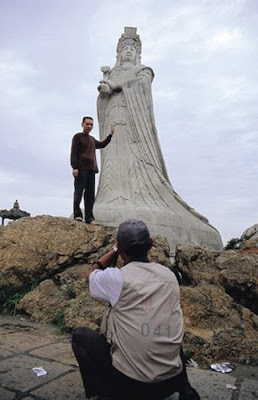 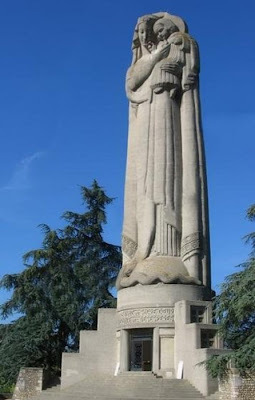 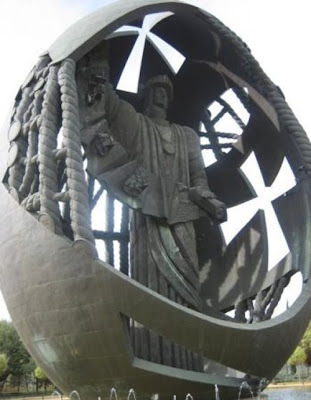 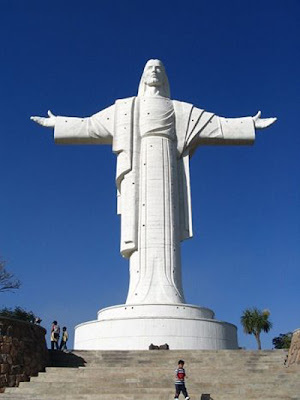 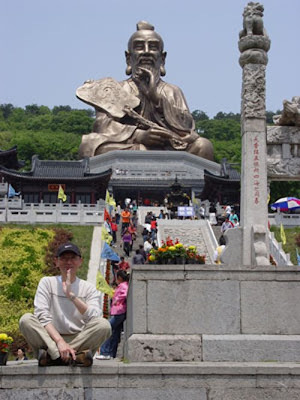 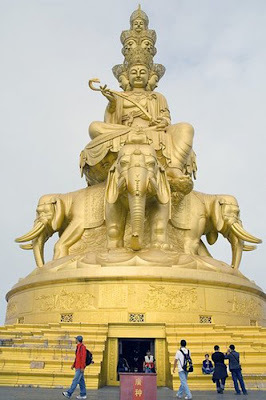 The statue has three aspects; one side faces inland and the other two face the South China Sea, to represent blessing and protection by Guan Yin of China and the whole world. 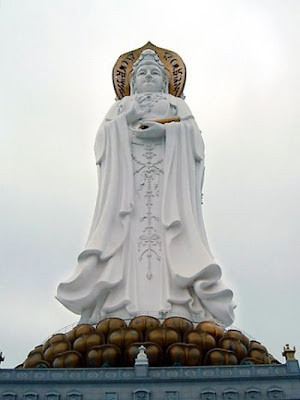 One aspect depicts Guan Yin cradling a sutra in the left hand and gesturing the Vitarka Mudra with the right, the second with her palms crossed, holding a string of prayer beads, and the third holding a lotus. 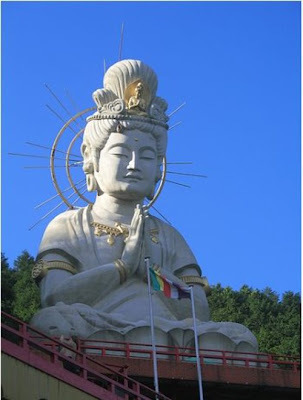 The mantra Om mani padme hum is written in Tibetan script around each aspects' halo. 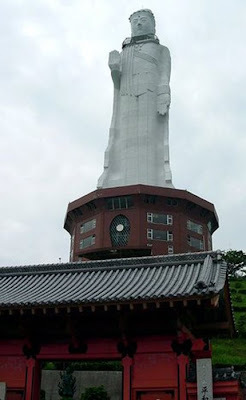 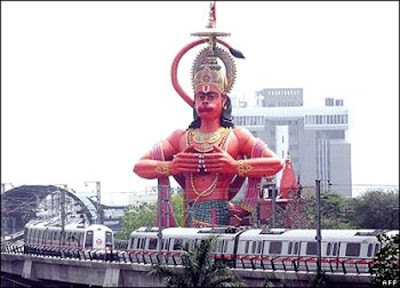 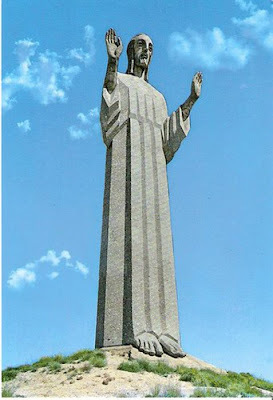 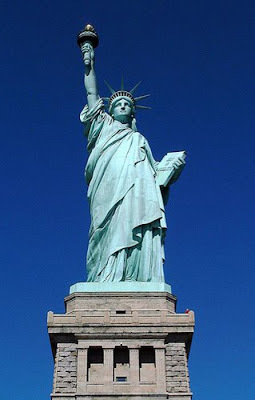 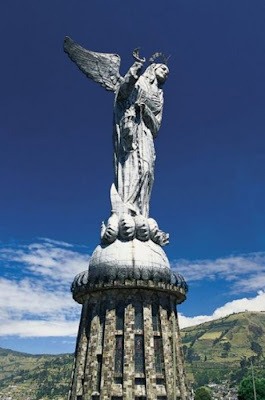 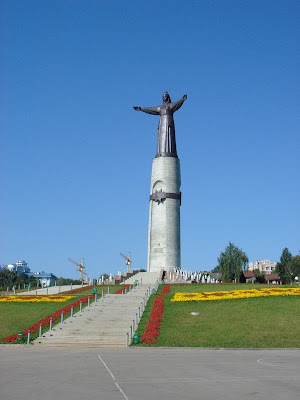 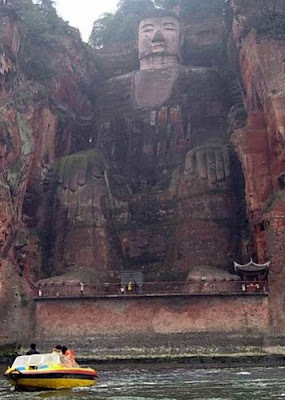 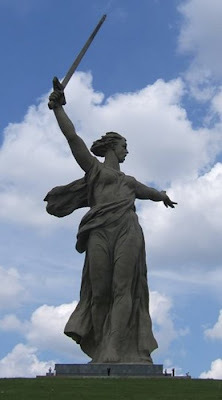 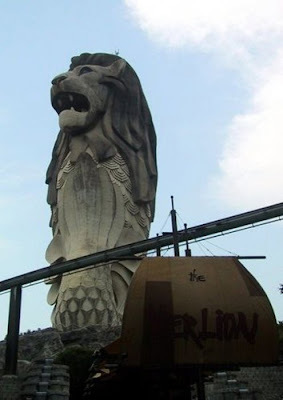 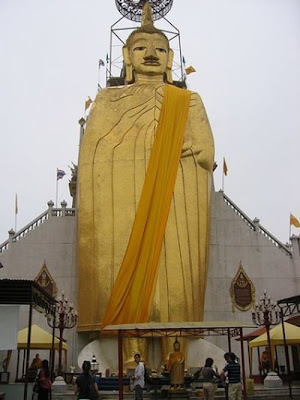 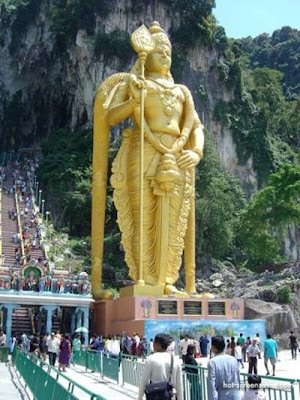 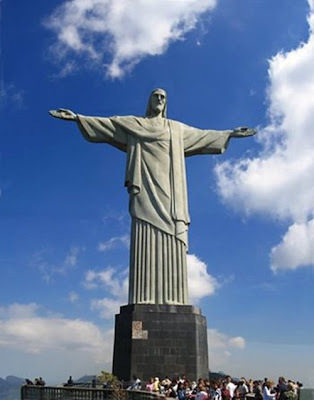 This is currently the fourth tallest statue in the world. 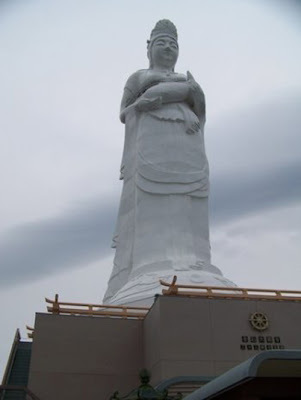 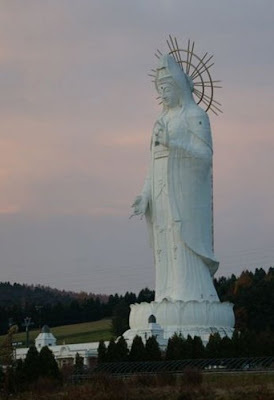 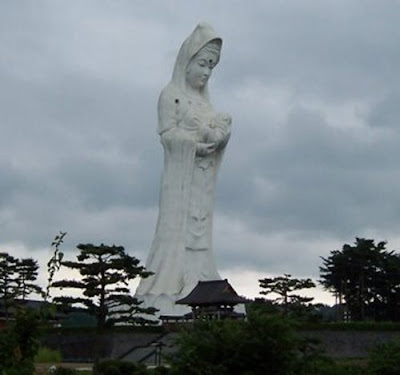 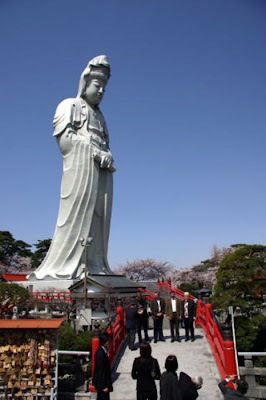 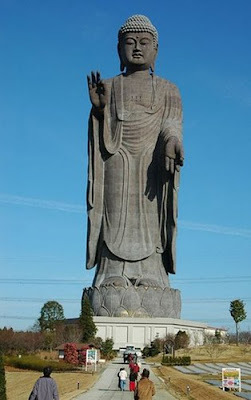 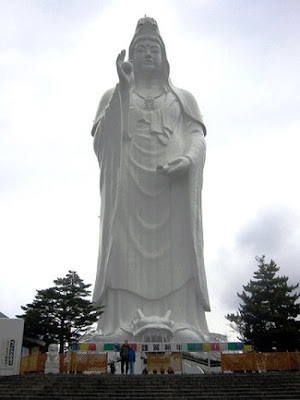 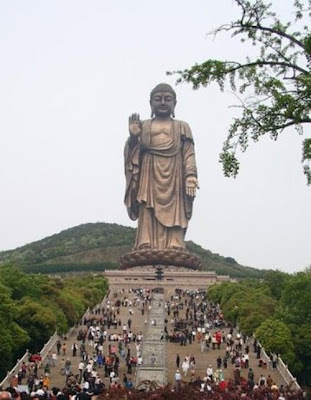 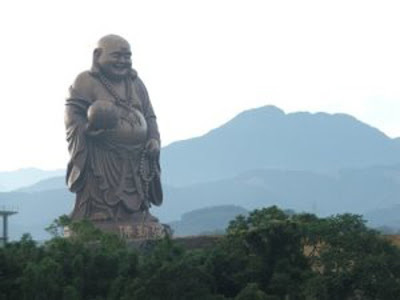 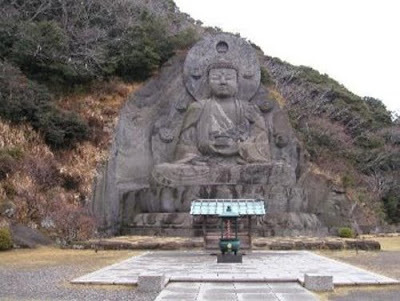 The Ushiku Daibutsu, located in Ushiku, Ibaraki Prefecture, Japan, is one of the world's tallest statues. 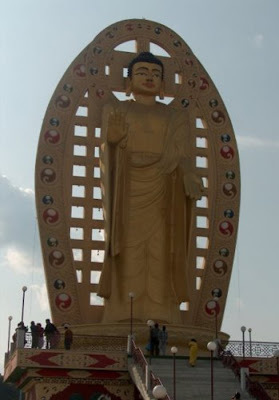 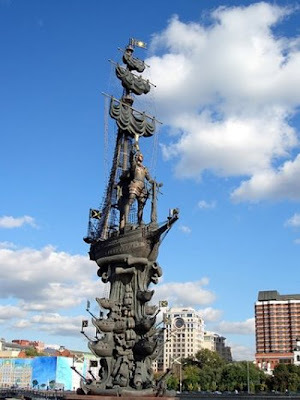 Completed in 1995, it stands a total of 120 meters (394 feet) tall, including the 10m high base and 10m high lotus platform. 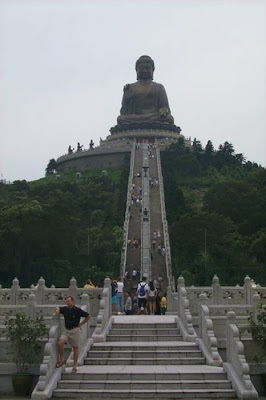 An elevator takes visitors up to 85m off the ground, where an observation floor is located. 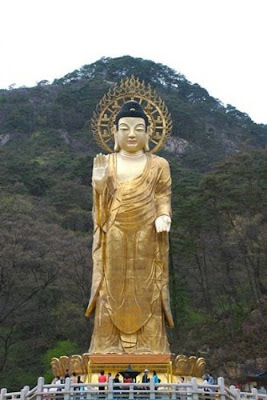 It depicts Amitabha Buddha and is plated with bronze. 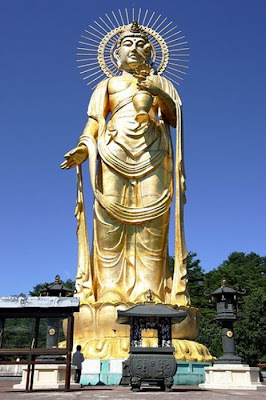 It is also known as Ushiku Arcadia (Amida's Radiance and Compassion Actually Developing and Illuminating Area). 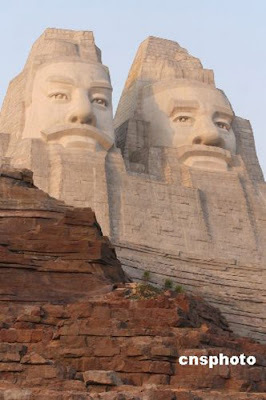 Statues of Emperors Yan and Huang , China. 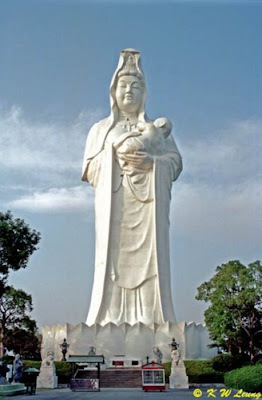 A 106-meter high statue of Emperors Yan and Huang was built in Zhengzhou, the capital of Henan province.The statue is eight meters higher than the Statue of Liberty in New York and took 20 years to complete.